JOEY Mente is best remembered as an unheralded player who shot to fame with his acrobatic and high-wire acts on the way to becoming a PBA slam dunk champion. To those who know him well, it was his sense of humor that really stood out. 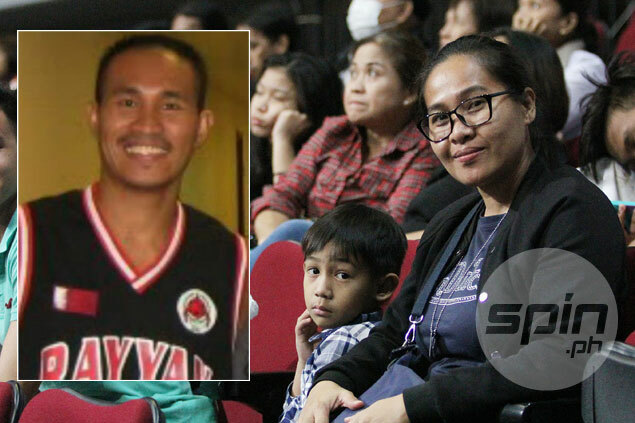 “Kenkoy, makulit, at palaging nagpapatawa,” he added of his well-liked teammate, who passed away early Wednesday following a long battle with the Big C.
The high-flying guard, a first-round pick of the Beermen (10th overall) in the 2001 PBA draft, was back in his native Samar where he’s been undergoing chemotherapy when he died. He was 42. Mente's remains lie in state at the family residence in Capul Island, Northern Samar, according to his niece Ivy Catucod. Interment will be announced later. Mente played for the Beermen from 2001 to 2005 and was part of the team that won the championship of the 2001 All-Filipino and 2005 Fiesta Cups, respectively. Naturally, it was his San Miguel Beer family which was the first to be notified by Mente’s sister, Mytea, about the bad news, including Racela and coach Jong Uichico. Mente was slam champion in the pro league in 2001, but even before that, he already built a reputation for his high-wire acts during his college years at Lyceum, and later in the defunct Metropolitan Basketball Association (MBA) with the Iloilo Megavoltz. Following his stint with San Miguel, Mente played for three more years with Welcoat (now Rain or Shine) from 2006 to 2008. In all, he saw action in 208 games in the pro league and averaged 4.9 points and 1.5 assists. Early this year, he was diagnosed with two tumors, one in the head and the other in the chest, and had to undergo operation. He later went through radiation treatment and then went back to Samar for his chemo treatment. San Miguel Corp. through president and chief operating officer Ramon S. Ang extended financial assistance to the ailing player, together with Rain or Shine of co-team owner Raymund Yu and Terry Que. Mente’s former San Miguel teammates along with Uichico, also did their share by pooling some cash of their own and handed it out to Joey’s family. And just last March, former PBA player Mark Telan held a benefit golf tournament dubbed ‘Fore For Mente’ to help raise money for the medication of the ailing player. “He will be missed,” said Racela of his former backcourt mate.